Justice U.N Agomoh of the Federal High Court, Port Harcourt, Rivers State has convicted and sentenced to one and half years imprisonment, a former Director General of Delta State Direct Labour Agency, Mr. Emmanuel Odafe Igbini. The sentence is without an option of fine. Igbini’s journey to prison began when the Economic and Financial Crimes Commission, EFCC, arraigned him on a three-count charge in November 2014, for failing to make full disclosure of assets comprising his Naira account with Stanbic IBTC Bank, US Dollar Account and his daughter’s account with the same bank. He pleaded not guilty to the three-count charge and the matter went into full trial. Justice Agumoh found Igbini guilty of the charges and sentenced him to six months imprisonment on each of the counts without an option of fine. “Declaration Form you filled at the Economic and Financial Crimes Commission and thereby violated provisions of the Establishment Act 2004 and punishable under section 27 (1) of the Economic and Financial Crimes Commission Establishment Act 2004 and punishable under Section 27 (3) of the Economic and Financial Crimes Commission Establishment Act 2004”. 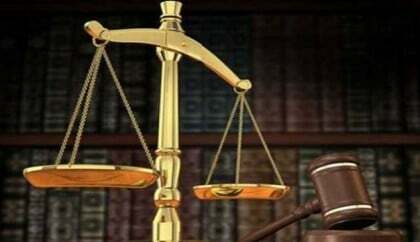 In the same vein, Justice Agomoh convicted and sentenced one Onaioye Kiipoye to ten years imprisonment without an option of fine for dealing in c without requisite license. The convict was arraigned on 10 February, 2011 on a two-count amended charge bordering on dealing in petroleum products without a license. She pleaded not guilty and the matter went into full trial. Justice Agumoh found her guilty of the charges and consequently convicted and sentenced her to five years imprisonment on each of the count charge without an option of fine. The Judge ordered that the Man Diesel Caravan Truck with Reg. No. XB 103 RUM used in conveying the proceeds of crime should be forfeited to the Federal Government. The Journey to prison started when the Joint Task Force ‘Operation Flush Out III’ of the Nigerian Army arrested Kiipoye on 15 April, 2008 with a Truck that contained about 64 drums of petroleum products suspected to be condensate and handed them over to the EFCC for further investigation.